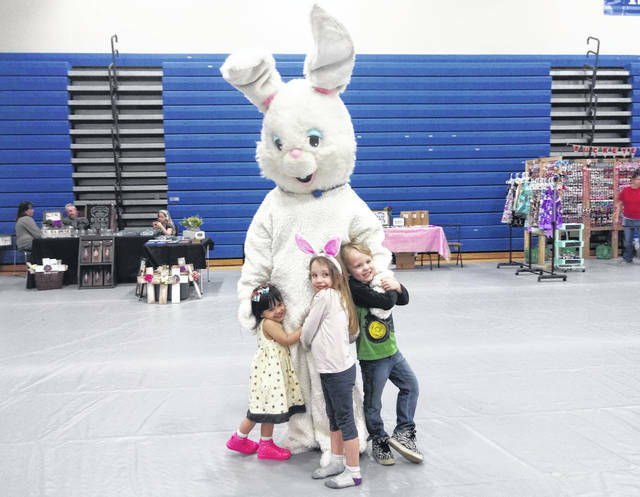 The Easter Bunny hopped around with little ones at Craftapalooza on Saturday. Creative Court House Treasurer Jennifer Kasberg took on the role for the event. The kids pictured here (L-R) are Aleiana Kai Kelley, Virginia Noe and Colby Therrien. Craftapalooza featured several vendors selling items and sharing their artistic talents with those who attended the event.